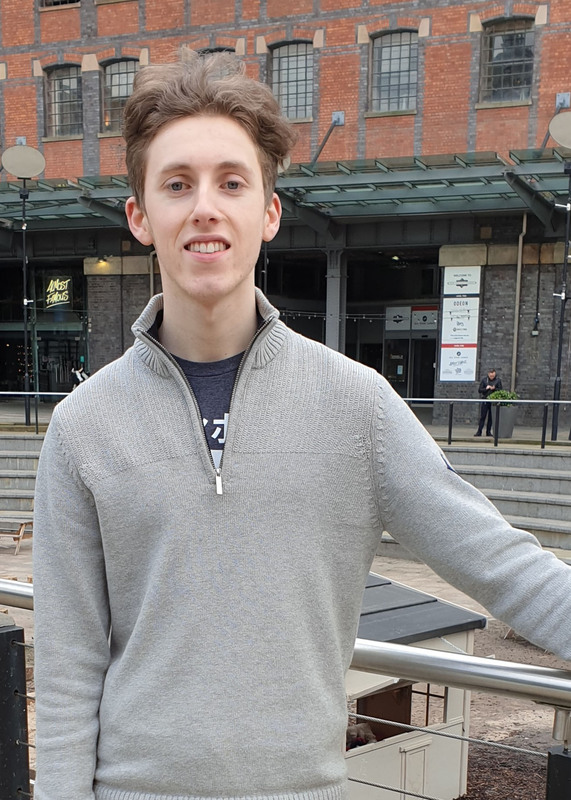 Jacob is a first-year apprentice for our infrastructure & environment team in Manchester and is studying for a degree in civil engineering at John Moores University in Liverpool. 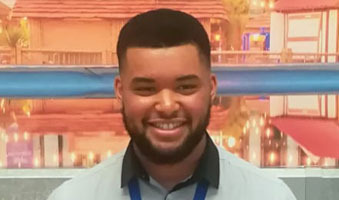 After joining Waterman in October 2018, he discusses the benefits of a degree apprenticeship over a standard full-time course. I have always excelled in mathematics and working out ways to solve problems throughout my school years. Because of this, I knew I wanted a career that utilised my mathematical ability, although I was unsure of what particular job to go into. 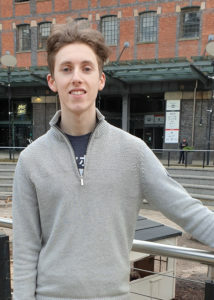 An apprenticeship was a great fit for me as the idea of full-time study at university didn’t appeal. The idea of becoming an engineer was first presented to me by my maths teacher in secondary school through a presentation on the importance of engineering and how there is big shortage of engineers in the UK. 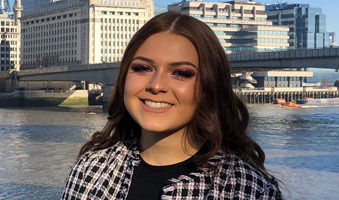 From there, I began researching the different types of engineering and realised continuing my studies after GCSE would be the most efficient way to become an engineer. Civils quickly became the most appealing due to its significance to society and the scale of projects you can get involved in. As I didn’t have any previous experience in engineering, I decided to increase my chances of being recruited by enrolling into an enrichment opportunity at Carmel College called ‘Tomorrows Engineers’. This involved working in teams with other students to complete projects and compete against each other in various tasks, such as – building a bridge out of spaghetti and seeing whose structure could support the biggest load. 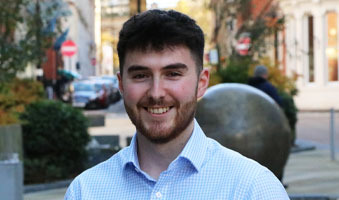 ‘Tomorrows Engineers’ allowed me to experience engineering in its simplest form and helped me to decide whether this would suit me as a career. 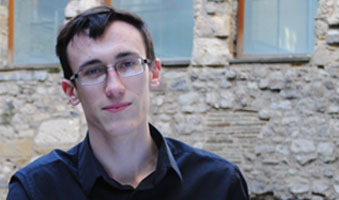 Studying maths and physics at A-Level has really helped me with my degree as it explored concepts that would be expanded upon at university, such as fluid mechanics. I strongly recommend students to study their specialist subjects at college before applying for a degree apprenticeship as it can give you that extra edge to your applications. The two years I spent at college were really beneficial in developing my skills, both academic and non-cognitive, that I have relied on within my job at Waterman. Engineering appealed to me because it provides a challenging and rewarding career path, as well as involving my best interests of being creative and solving problems. I chose to study a civil engineering degree because the opportunities within the discipline are endless, it comes in all various shapes and sizes, from a small footpath at the bottom of your street, to a gigantic suspension bridge. Also, being part of a younger generation of engineers gives me a feeling of added responsibility to try and make a more sustainable future. Although I only joined Waterman in October, I have already contributed towards a range of projects as part of the infrastructure and environment team, spending a lot of time working on both highways and structures-related schemes. Both sectors have taught me new things and allowed me to explore different branches of engineering; I have attended site inspections with the structures team, assisting in creating reports on the conditions of existing buildings, whilst the highways team have made me more proficient in AutoCAD by allowing me to create a range of technical drawings. I am particularly proud of my work on a design drawing for a cycle improvement scheme for the north side of the East Lancashire Road. I was presented with problems to try and solve, discussing my ideas with more senior engineers and contributing to the project whilst learning from their experience. Being surrounded by people with invaluable experience has really excelled my progression on this apprenticeship, as I have learned a lot in such a short space of time. By going down the apprenticeship route, I feel better-equipped to progress throughout my career as I am gaining invaluable work experience as well studying towards a degree. It is my opinion that this will push me towards my goals and ambitions faster than those who choose to study full time. An apprenticeship is a big commitment, and its important you’re sure that career is where you can see your future. I’d recommend civil engineering as a career because it’s a challenging role which provides a lot of opportunities in a variety of areas. It is also great to undertake work experience in the sector you are considering applying for as it will give you an idea of whether it is right you, as well as making your CV more attractive to employer.